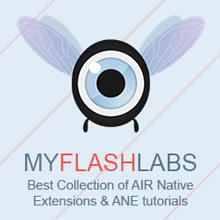 Video-ANE is a native extension to play videos on top of everything. Usually when a developer needs to play a video within an application, there are some problems or limitations that need to be addressed. Displaying video in an AIR mobile project, for instance, using Starling is complicated because the Flash display list Video object is not efficient. The StageVideo class, which is the natural solution to overcome the efficiency problem, does not support third-party content placed on top of it, such as a Starling instance. There is also the limitation of a single video playing at any time. The VideoTexture class, which should solve all those problems, is still not available on mobile. The goal of this ANE is to display a video on top of everything, helping developers to overcome all mentioned problems. The ANE can be seen as a reverse StageVideo class.